Kathy "Gidget" Kohler Zuckerman "2011 Woman of the Year"
Kathy Kohner (also known as "Gidget"), whos Malibu upbringing spring-boarder her into a pop icon. 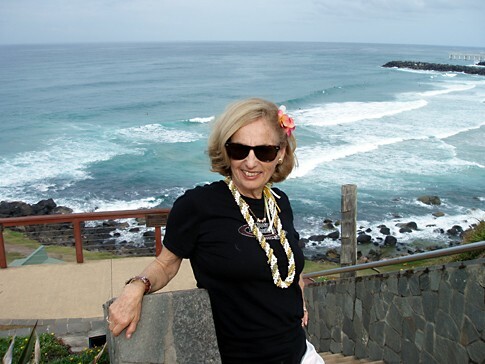 Kathy Kohner was born in 1941 and spent much of her childhood on the beaches at Malibu. She started surfing at the age of 15, sometimes trading her peanut butter and radish sandwiches for chances to ride. She hung out with such influential surfers as Miki Dora, Mickey Munoz, Dewey Weber, Tom Morey, and Nat Young. Based on Kathy's journal of her trips to Malibu, which her father discovered and read, "Gidget": the LITTLE girl with BIG ideas sold over 500,000 copies and was translated into Japanese, Spanish and Yiddish, among other languages. In 1959, Columbia Pictures, where Frederick Kohner had been a screenwriter, adapted the novel into a film starring Sandra Dee. 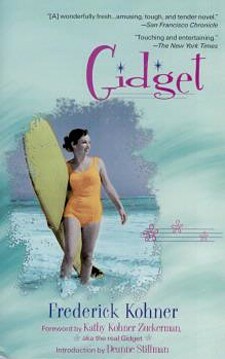 Two other "Gidget" films were made, as well as a 1965 television series starring Sally Field and several television movies. 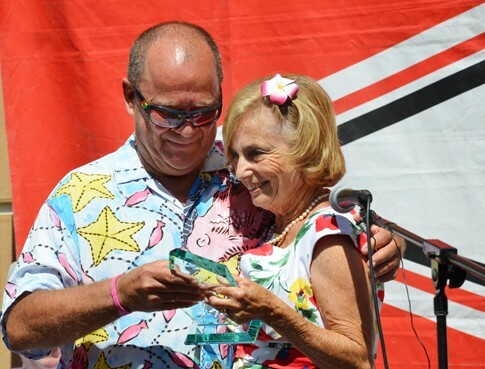 Kathy still surfs annually to benefit a cancer charity and a big supporter of the International Surfing Museum. She was named No. 7 in Surfer Magazine's 25 Most Influential People in Surfing. PHOTO: Kathy at Point Danger, Australia. PHOTO COURTESY LeftPeak Productions. PHOTO: Courtesy Ron Deitrick, PT and Kathy on induction day. PHOTO: Taken by Allan Grant for Life Magazine. PHOTO: Gidget at Malibu 1957, photographed by Ernst Lenart. PHOTO: DVD cover. Six actresses portrayed Gidget from 1959 to 1972, Sandra Dee, Deborah Walley, Cindy Carol, Sally Field, Karen Valentine and Monic Ellis. Narrated by Jorja Fox (“CSI”) and produced by Brian L. Gillogly and Robert Masters, ACCIDENTAL ICON explores the largely untold story of the real “Gidget,” Kathy Kohner Zuckerman. 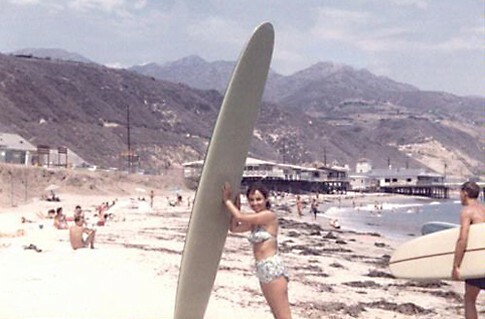 Kathy’s account of surfing Malibu in the mid-50’s became the basis for a best-selling novel by her father Frederick Kohner and the hit 1959 “Gidget” movie, which introduced the modern sport of surfing to a world-wide audience. 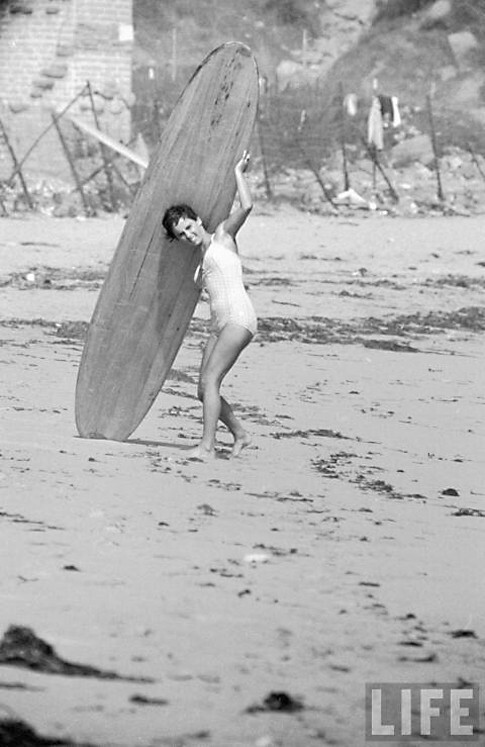 Surf legends and present-day “surfer girls” set the stage and take the Gidget story full circle. Prominent actors and directors, many of whom brought Gidget to the big and small screen, provide an often enlightening behind-the-scenes perspective. Check out the website by clicking here!